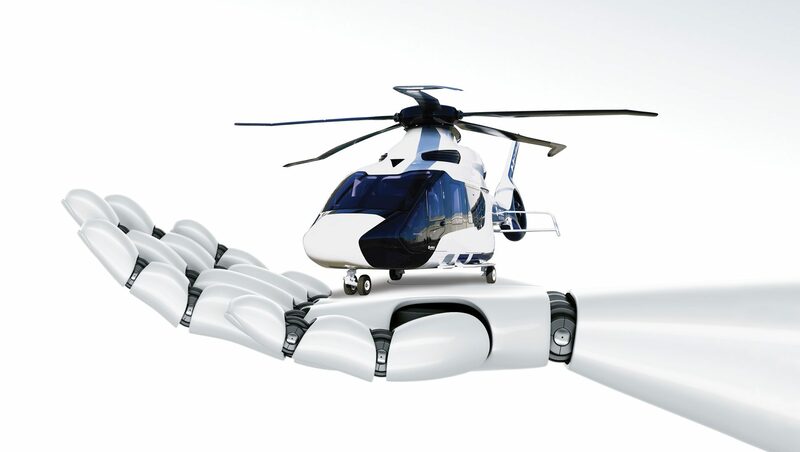 Airbus is a major global aerospace business and leading helicopter manufacturer. 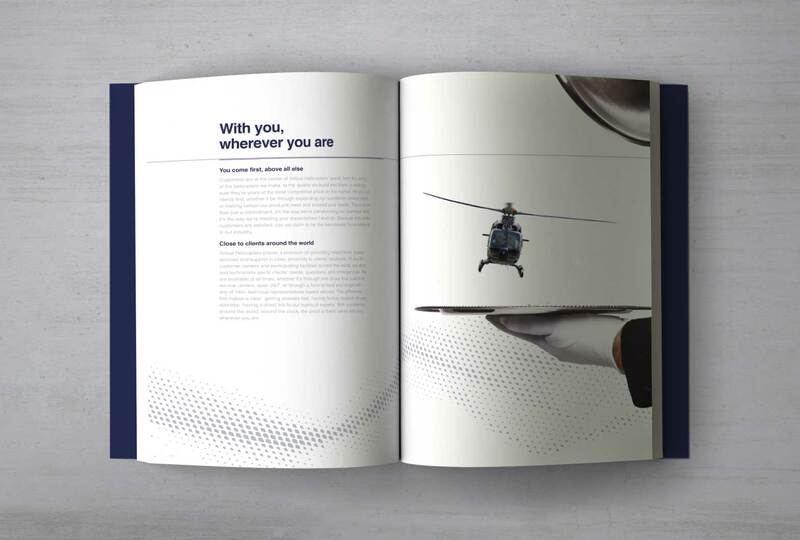 Based on our historical work for Bombardier, Design Inc was invited to pitch for a new global helicopter advertising campaign. 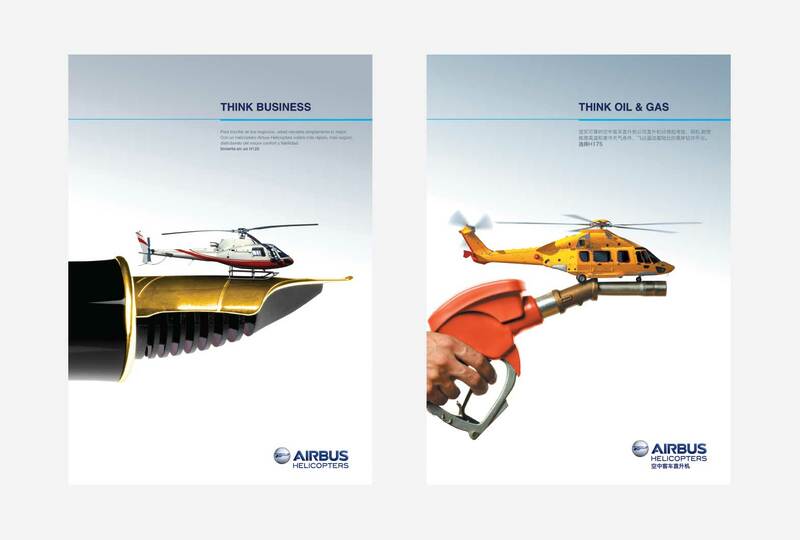 We were invited to pitch for the global Airbus helicopter advertising campaign against 4 other agencies including the incumbent Publicis. 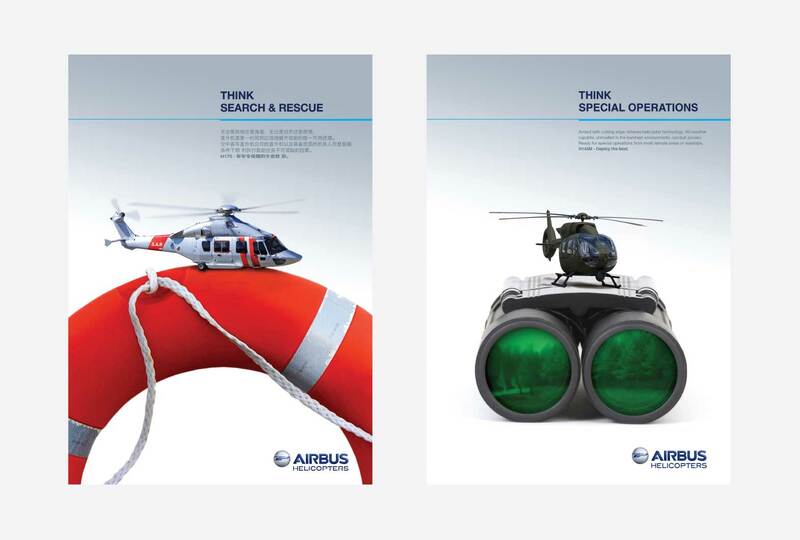 Airbus Helicopters was looking for an international campaign with creative motifs developed initially for each of the main 5 rotary aircraft deployments or missions – these being: military, medical, police, business, oil & gas plus we were requested to develop an ‘innovation’ and an ‘after sales’ service advert. 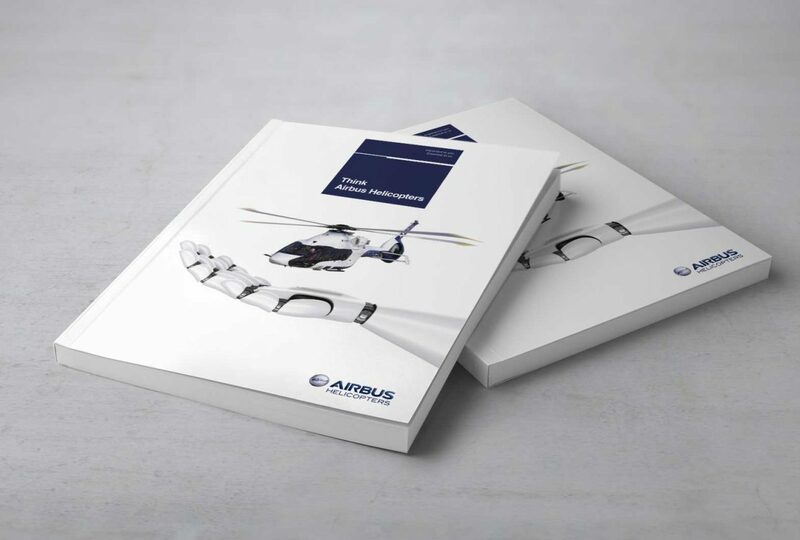 The adverts would be used in traditional printed and digital media in aerospace, aviation and mission sector related titles. 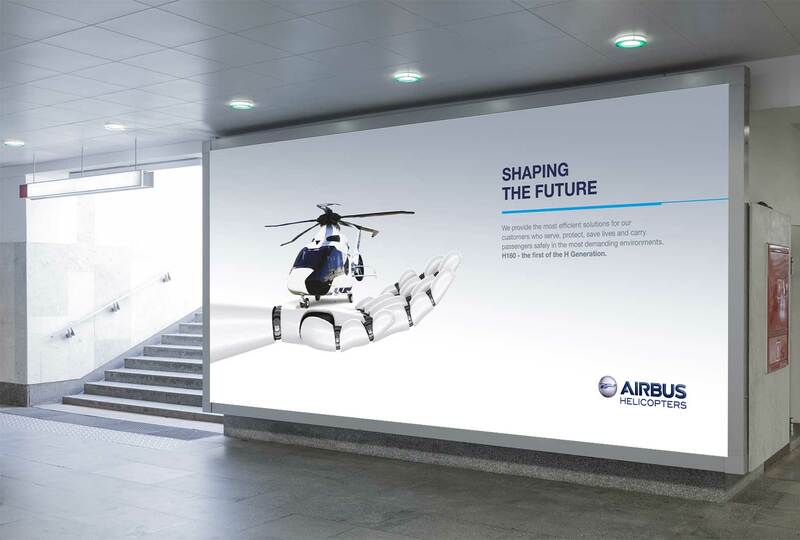 We set out to create a helicopter advertising campaign that demonstrates how Airbus looks at things differently. 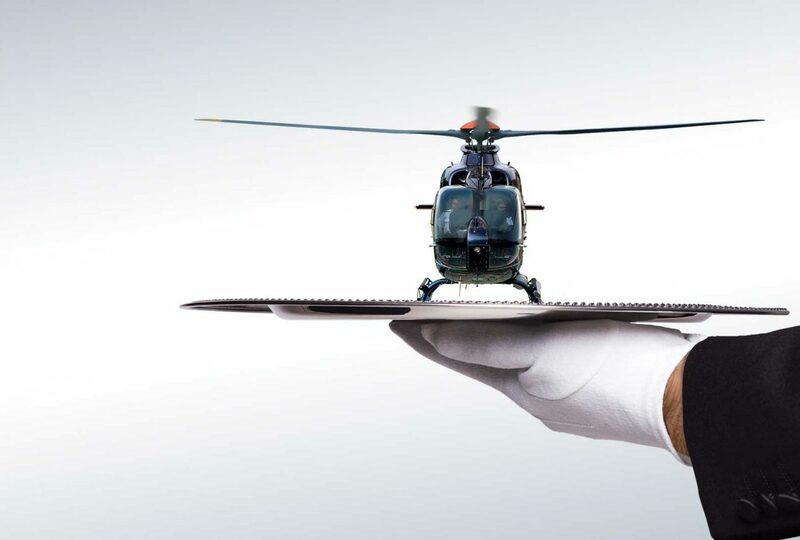 We juxtaposed existing client-supplied imagery of the helicopters with ‘super-sized’ props to create ambiguous images full of impact and intrigue. 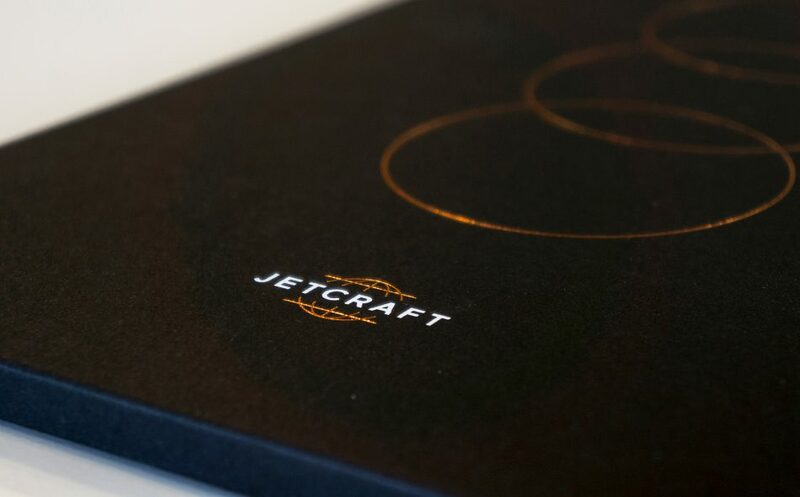 A high-quality fountain pen is used to represent business, a petrol pump for oil & gas, a blue light for law enforcement and a medical kit for EMS. 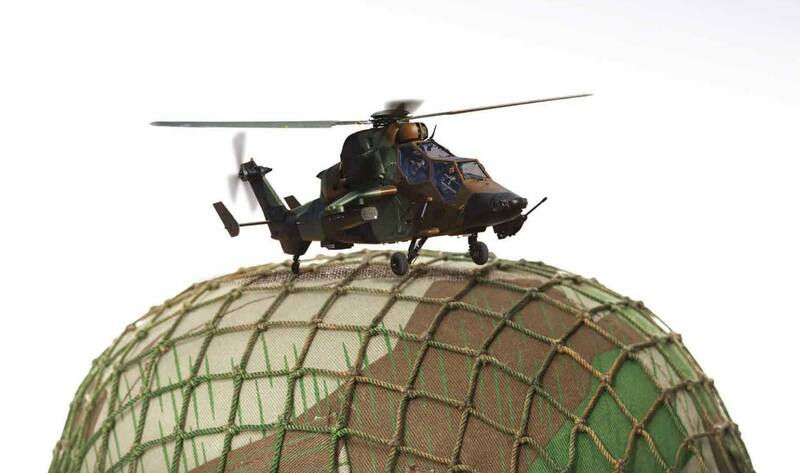 The military mission advert developed for the pitch strikingly featured a Tiger attack helicopter in a face-off with a wasp. 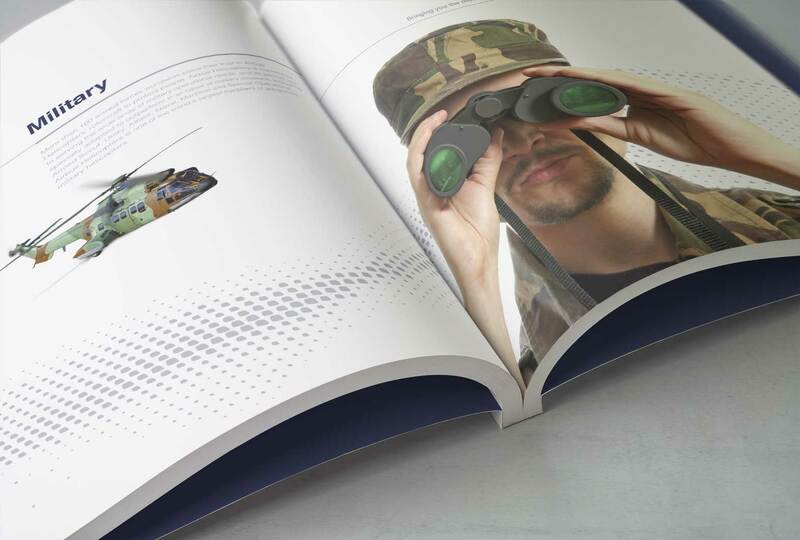 During the campaign’s duration additional mission motifs including a life-ring for Search & Rescue (SAR) and night vision goggles for Special Forces were developed. 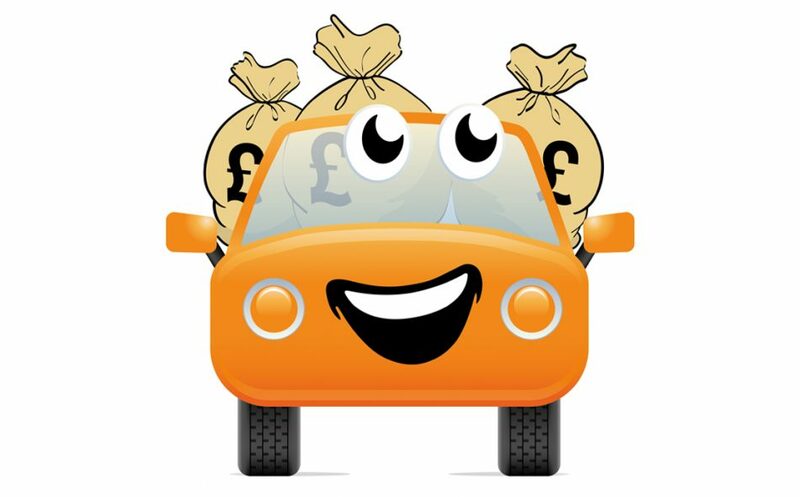 In addition to creating simple but standout ads with cut-through we set out to develop a campaign that would also translate well into digital and animated media for delivery across range of different platforms and channels. 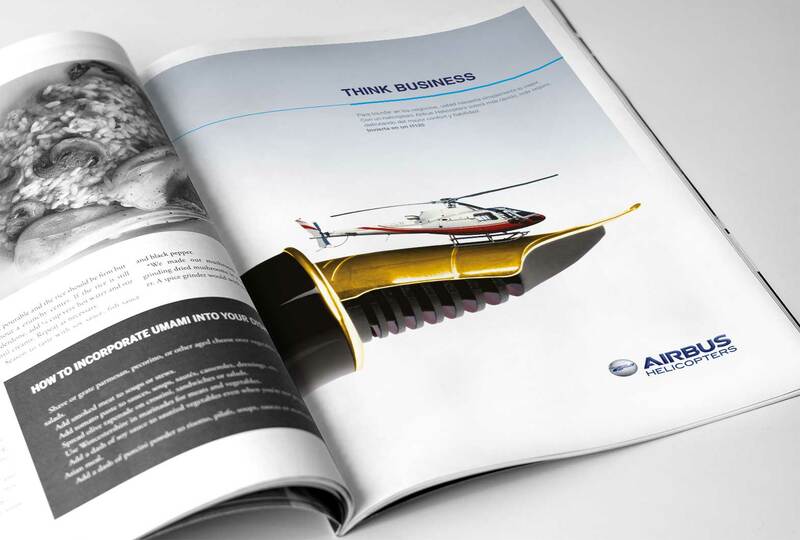 This flexible and cost-effective to produce campaign ran for 5 years. 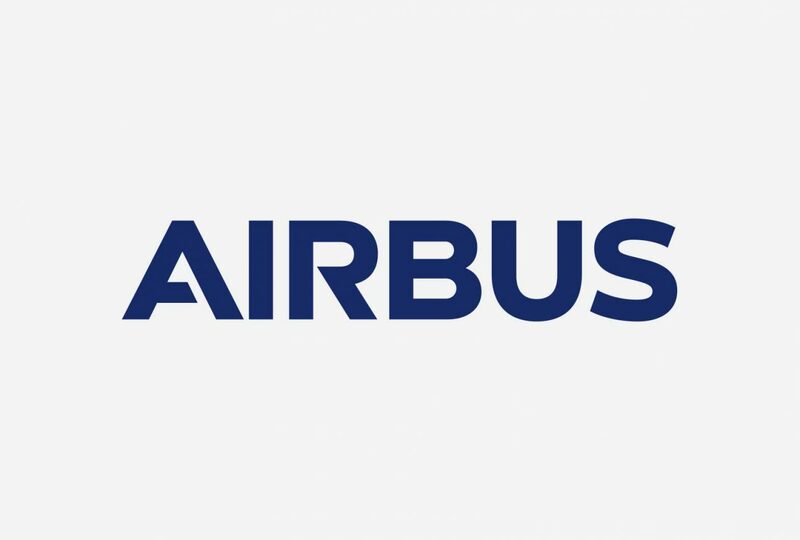 2 years longer than planned and it was significantly robust to continue through 2 Airbus Group rebranding exercises. 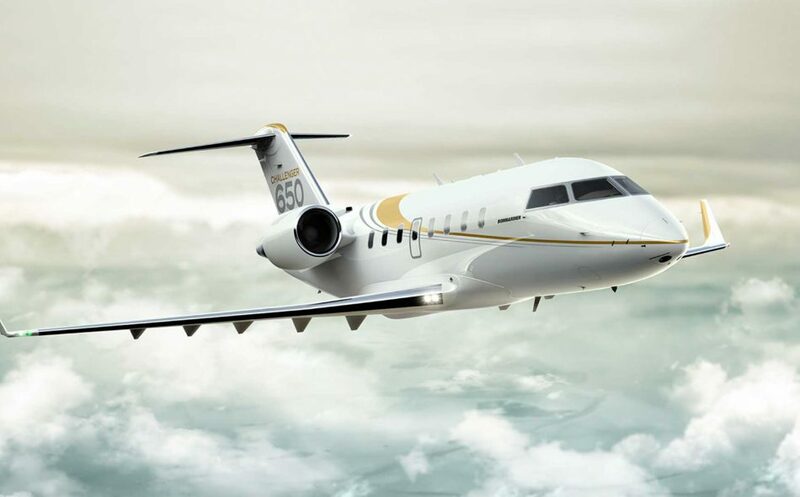 The campaign has been seen around the world in prominent positions on aviation magazines like Flight International, in specialist sector publications and in animated form on media and major international aerospace aviation exhibition websites like HAI Heli Expo in Houston. 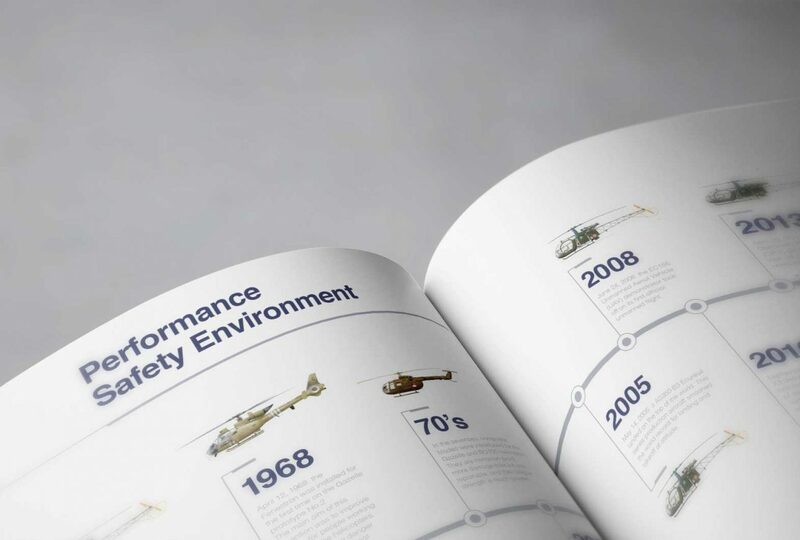 During the Farnborough International Airshow (FIA) Flight Global conducted research including advert recall. 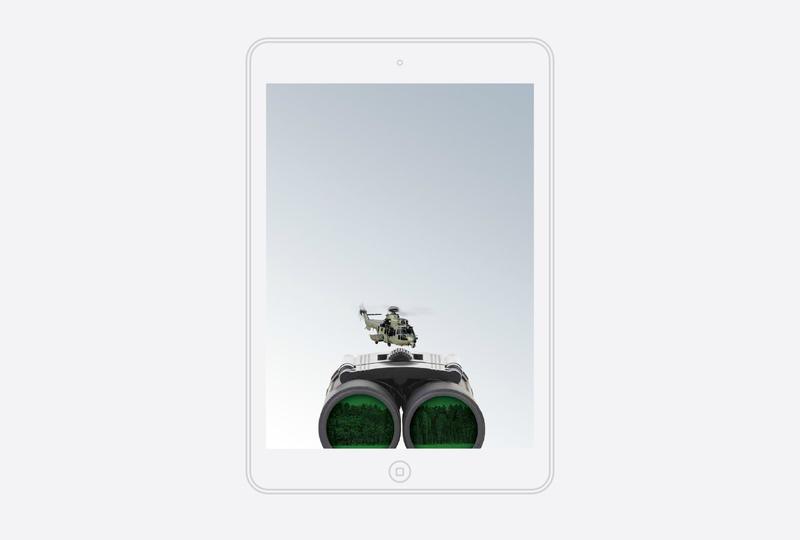 Reader response showed the campaign was one of the most memorable in the industry for a number of years. 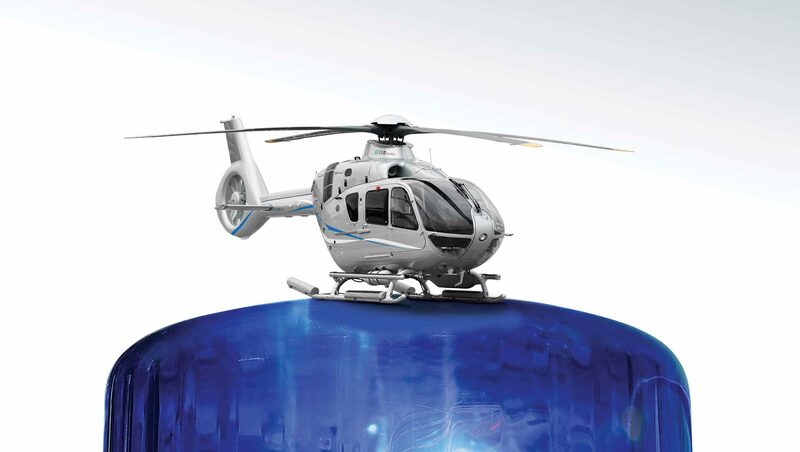 Airbus went on record stating that helicopter sales ‘doubled’ in the six months following the campaign launch. 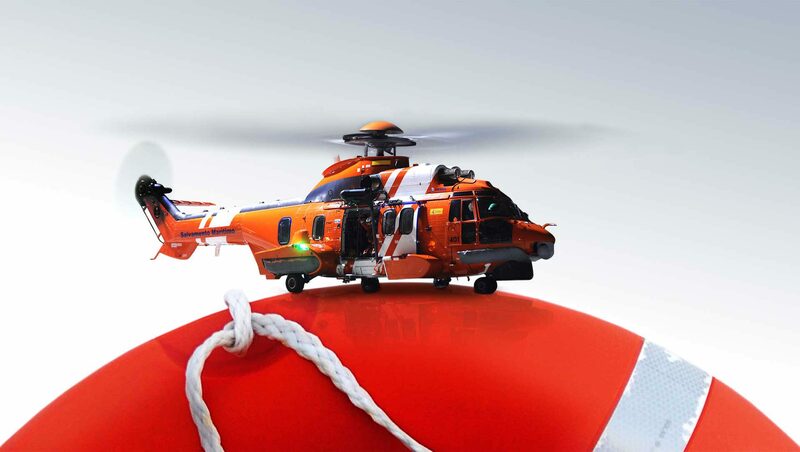 Although we won’t attempt to take all the credit for this – the development of the helicopter advertising surely helped?